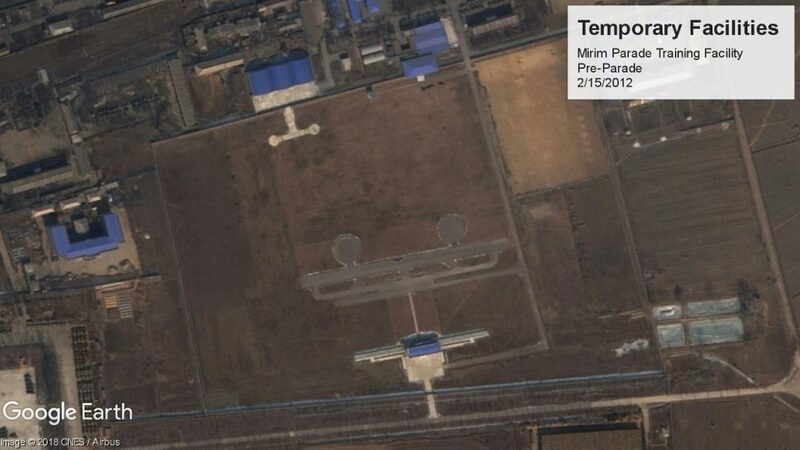 Satellite imagery analysis supports earlier reports that there may be an upcoming military event or parade in Pyongyang on February 8. At present, the parade appears to involve 28 formations of infantry or other military personnel, a traditional military band, and possibly additional personnel. A small number of vehicles appear to be on the drill as well, but neither has been prominent in the past month of satellite passes. The Mirim Parade Training Ground is typically very active prior to parades, while it sits fairly empty for the rest of the year, with some exception. Preparations for very large parades, such as the October 10, 2015 and April 15, 2017 parades are visible for months ahead of time. 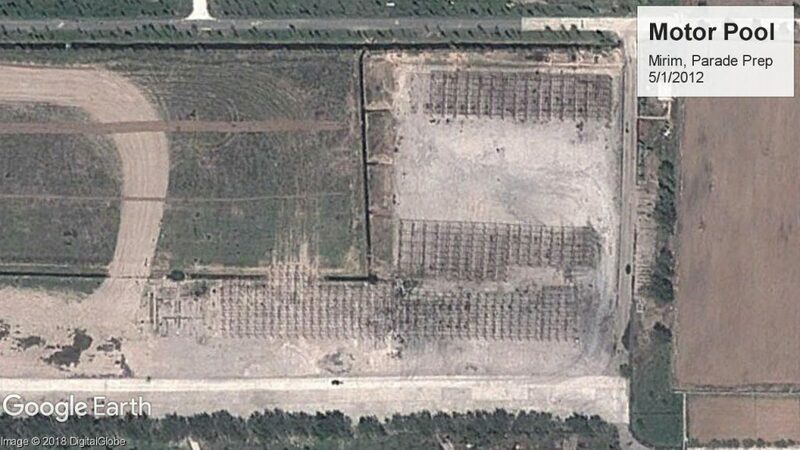 The exact equipment on parade is not always identifiable. 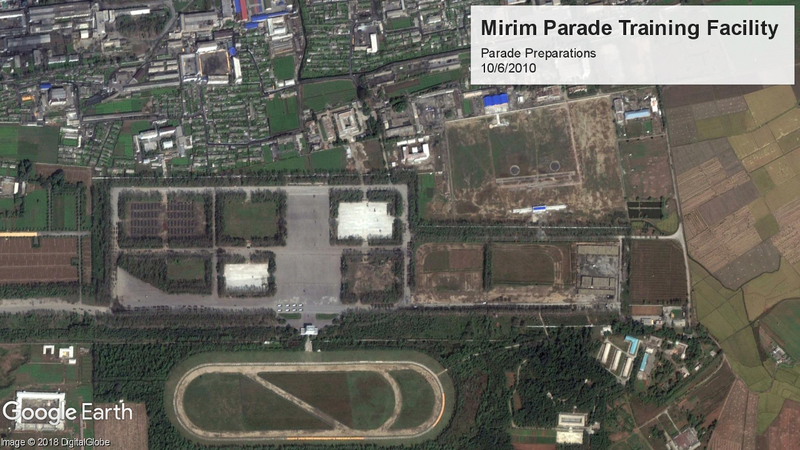 In the lead up to parades, analysts looking at Mirim expect to see regular formations of soldiers marching, the military band practicing, personnel forming words or other formations, large numbers of vehicles parked or in formation, and the erection of a temporary motor pool/equipment storage area. 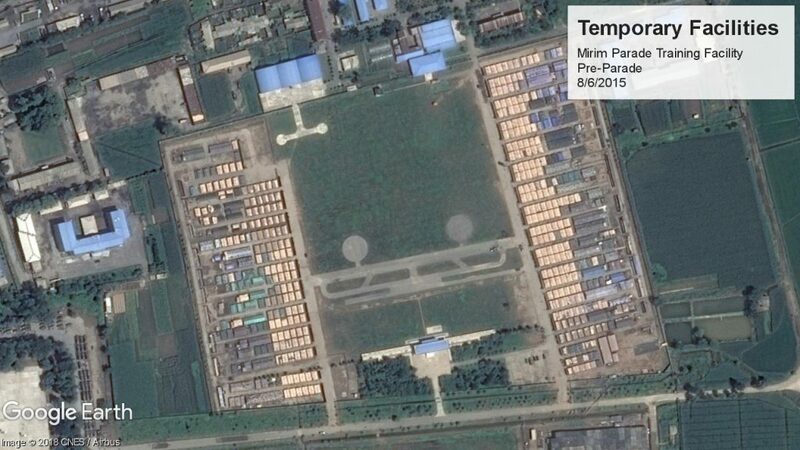 For very large parades, the adjacent helicopter base hosts a dense temporary housing area. Currently, blocks of soldiers, the military band, and possible non-military personnel forming words or other formations, and the temporary motor pool are all visible. There appears to be some evidence of vehicle movement, but this is not as certain at present. A single image from January 10 indicates the presence of possibly up to 5 groups of vehicles in groups of 9 or 12. 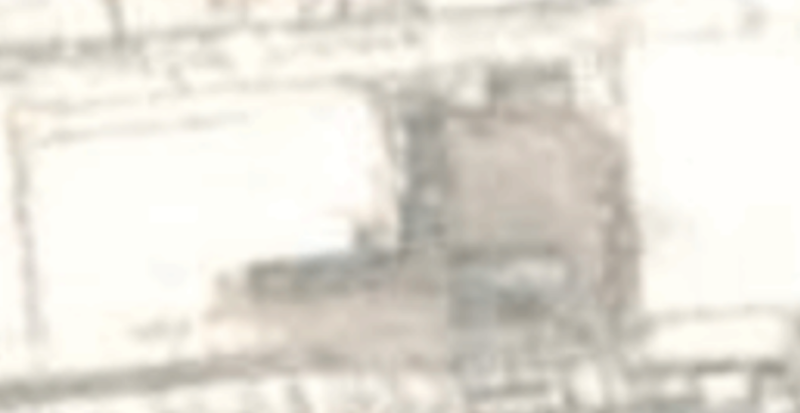 January imagery shows several vehicle paths emerge from a snowed-over paved area, indicating drive practice is likely occurring. The nearby helicopter base is not hosting temporary shelters, indicating the event is significantly smaller than the April 15, 2017 and October 10, 2015 parades. 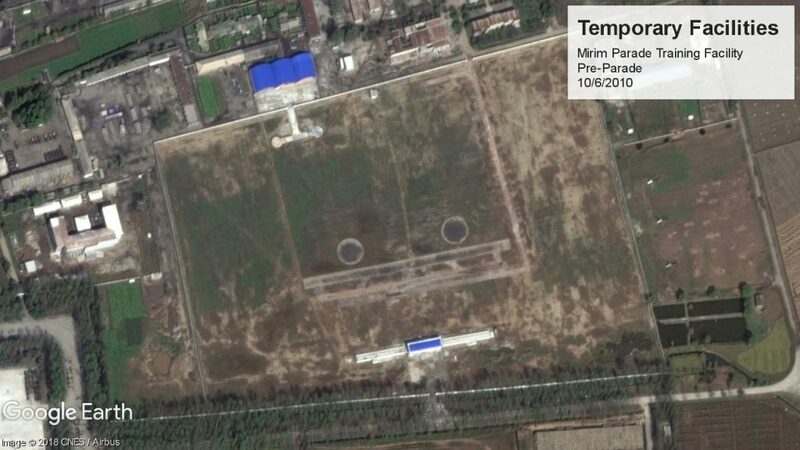 Both of these events required large amounts of temporary shelters and support facilities around Mirim, none of which is visible. 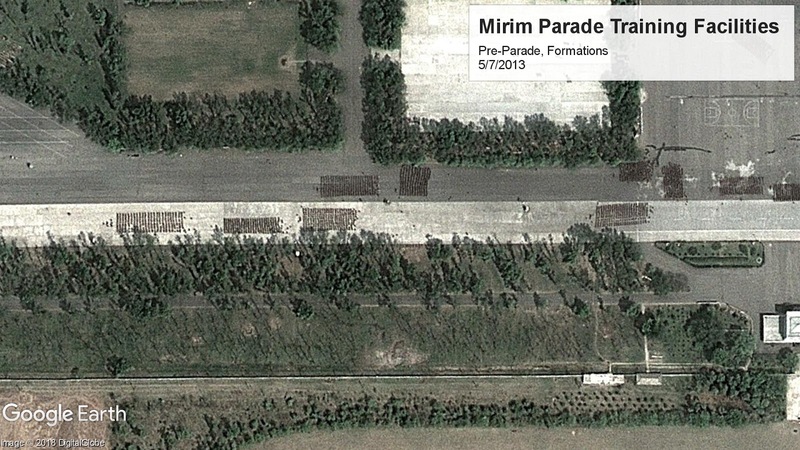 Because there are only three weeks until the possible parade date, there is a strict time limit on how much additional heavy equipment can actually be moved into Mirim. 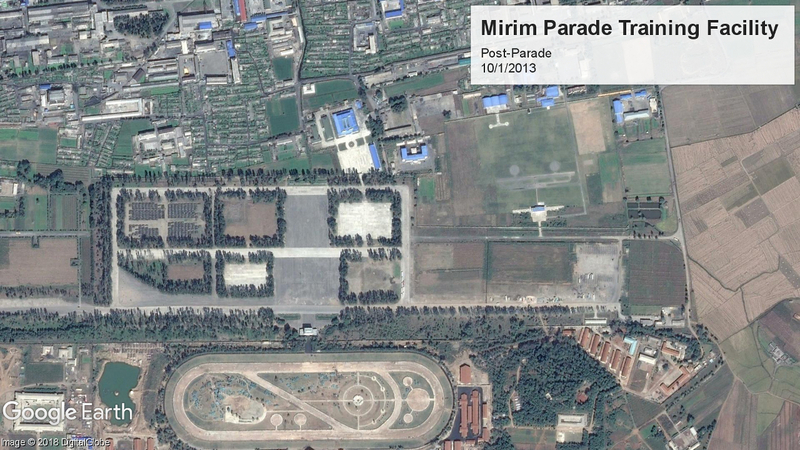 Vehicles must arrive in Pyongyang with enough time to practice, limiting the possible size of the parade. Parades require training and practice so that participants are coordinated. 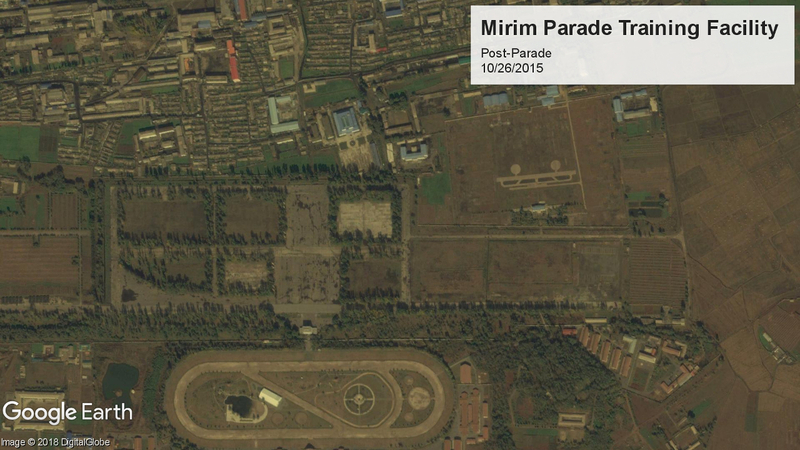 The October 10, 2015 parade, being a particularly large event, had a sixth month lead time. This parade will have a little over two months, with drilling occurring during both brutal weather and the annual winter training cycle. This parade is atypical though. Parades are not typically held in February, making it difficult to match its preparations to a more typical event. 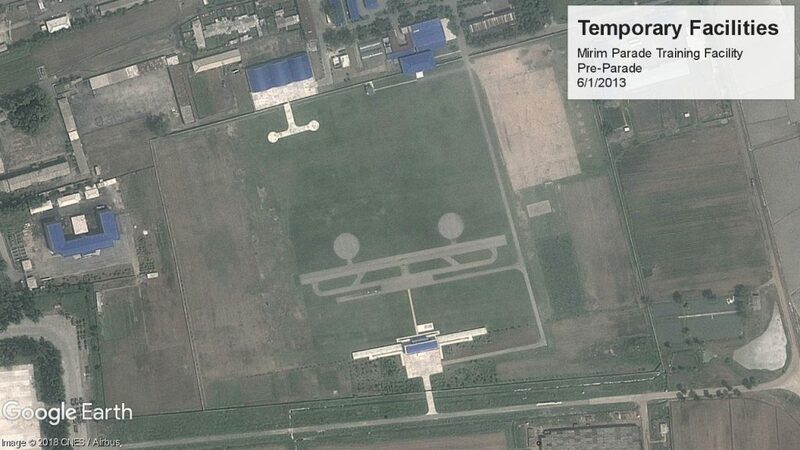 Imagery, provided by Planet, shows preparations beginning on, or only slightly before, November 26. 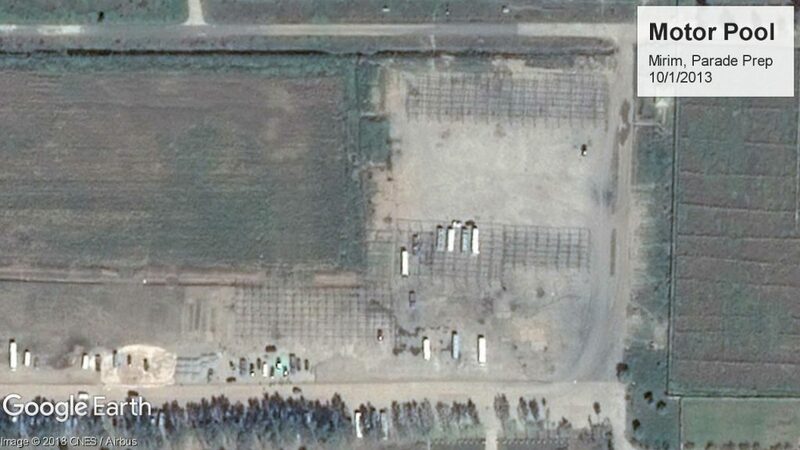 At this time, the temporary motor pool/equipment storage area is erected and the northwestern field began to receive either vehicles or temporary shelters. 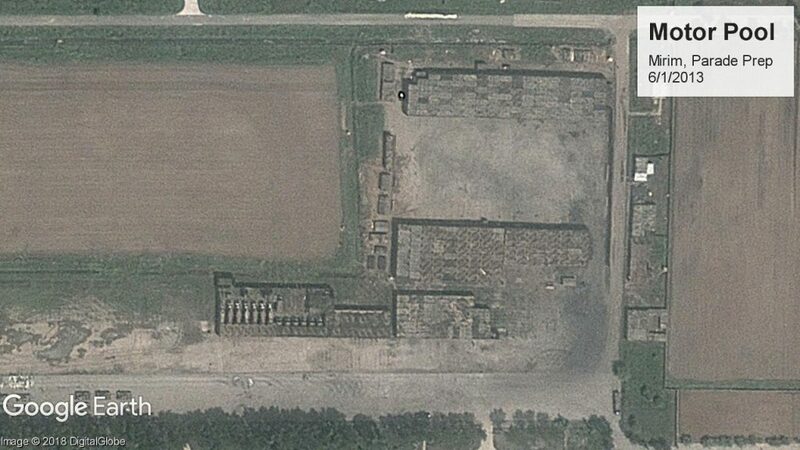 Some vehicle activity is also visible in the northeastern field. 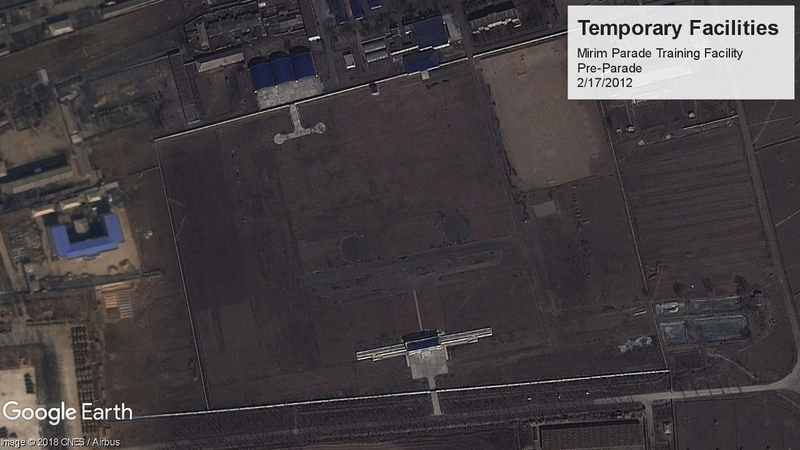 It is possible that non-military personnel were practicing at this time. Activity is clear in December and January though. 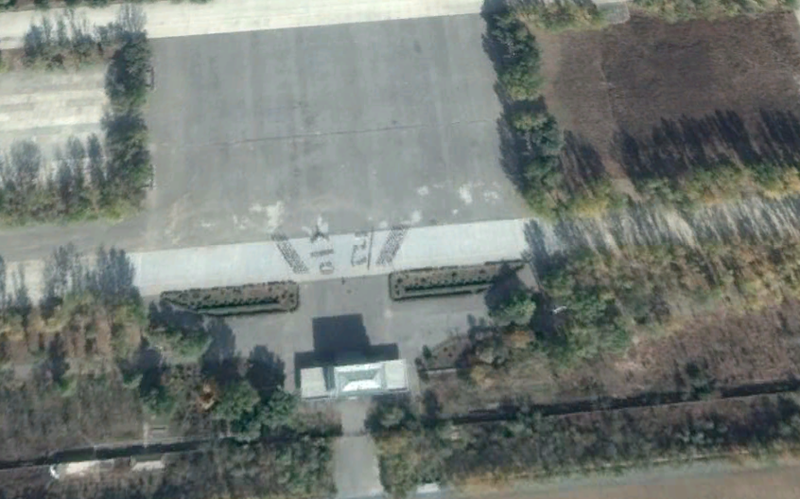 During this time, individuals are seen marching and repeatedly practicing formations in the simulated Kim Il Sung Square. 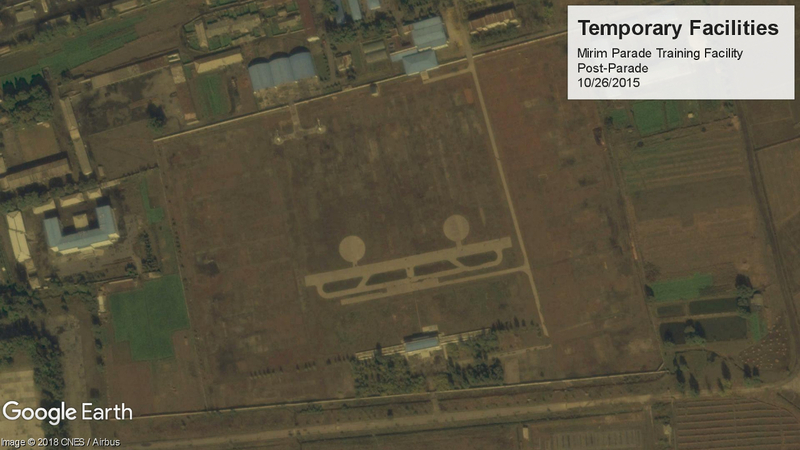 Planet imagery shows the temporary motor pool (red), the filling in of probable military formations (yellow), and the military band with possible personnel formed into words or shapes (blue). Mirim is always active in the lead-up to parades. 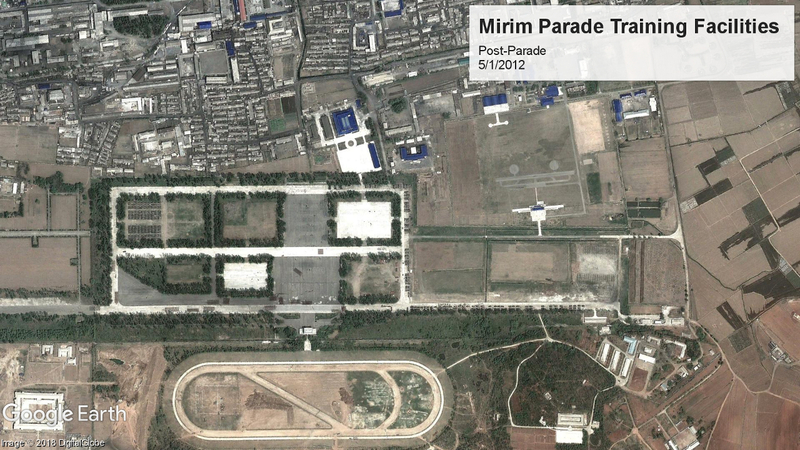 The following images show examples of Mirim in the lead up to and tail after certain parades, based on imagery availability. The conclusion to draw is fairly straightforward. 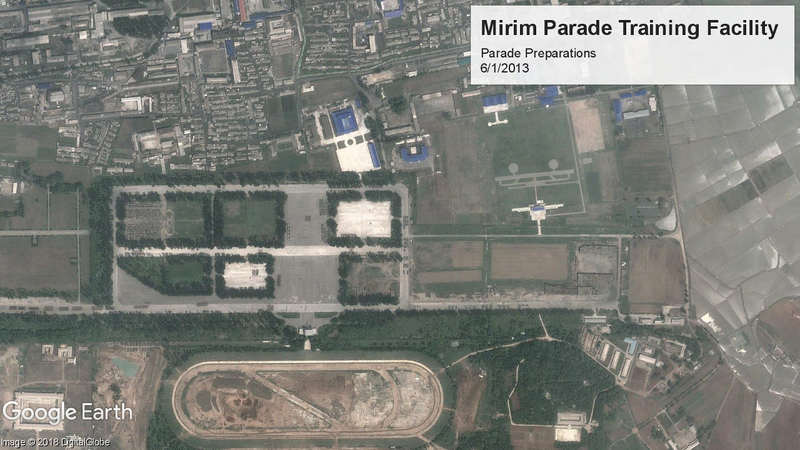 In the lead up to parades, participants drill, with support facilities erected nearby. 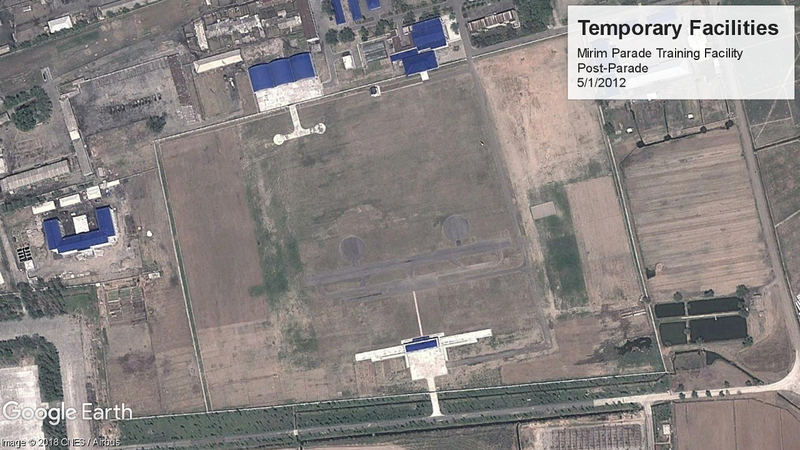 Using the nearby helicopter base for temporary support is relatively new, having started in 2015. 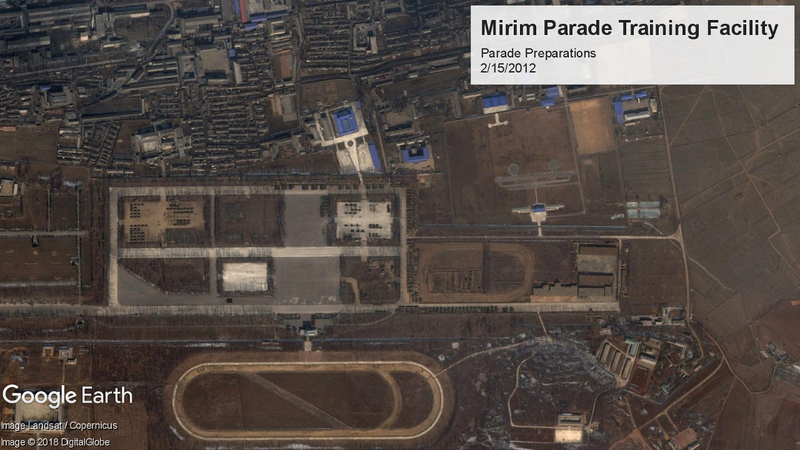 The helicopter base area is associated with very large parades, and its lack of use suggests that the upcoming parade is likely much smaller than earlier ones. 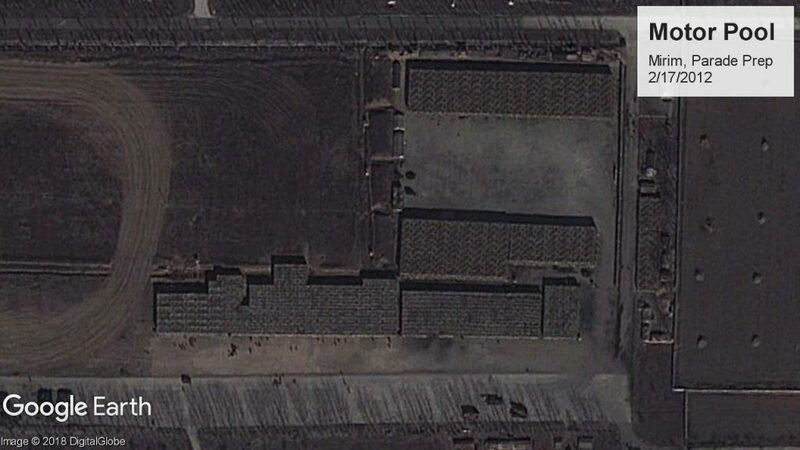 The temporary motor pool is for storing vehicles and equipment. It is only erected prior to events and is absent during the rest of the year. The temporary motor pool indicates that there will be some sort of vehicle presence at the parade, but it is not clear what that presence will look like. As mentioned before, possible vehicle drills have been observed, but they have not been as clear or regular as infantry drills. Parades with large numbers of vehicles require that those vehicles arrive and drill for weeks, if not months, ahead of time. These vehicles typically park in both the motor pool and out in the open sectors. 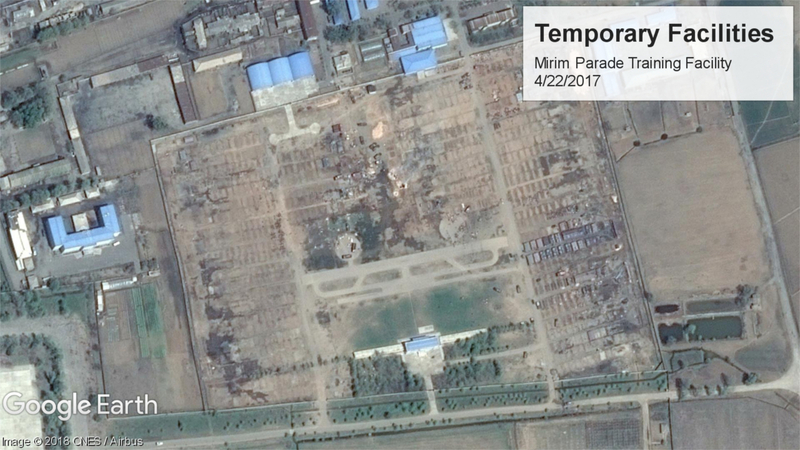 There has been no clear evidence of large numbers of very heavy vehicles (such as ICBM systems), as were present in the April 2015 parade. It is still possible that a few high-profile systems have been included in the parade, as small numbers of vehicles are difficult to track, regardless of size. 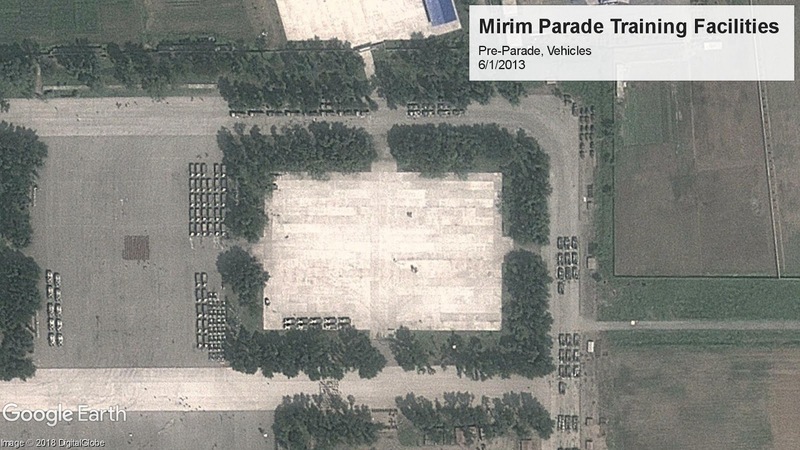 It should be noted that despite heavy monitoring, there was no public identification of the large number of missile systems paraded in the April 15, 2017 military parade. Smaller vehicles are very difficult to confidently detect at lower resolutions, but groups of vehicles are typically visible. 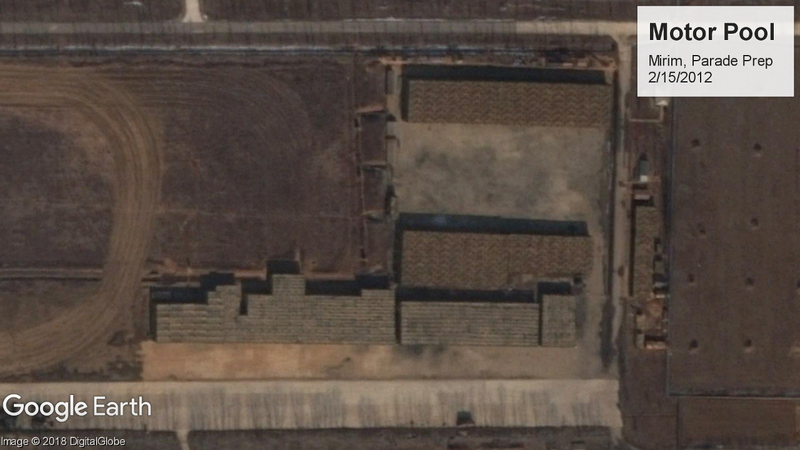 2017 was a significant year for DPRK military hardware, though, and it would be unusual for a military parade to pass without some mention of the success of the DPRK’s state nuclear forces. However, this must be balanced against the potential backlash of parading nuclear or ICBM related materials prior to the joint ROK-DPRK events at the Pyeongchang Olympics scheduled to start a day later. 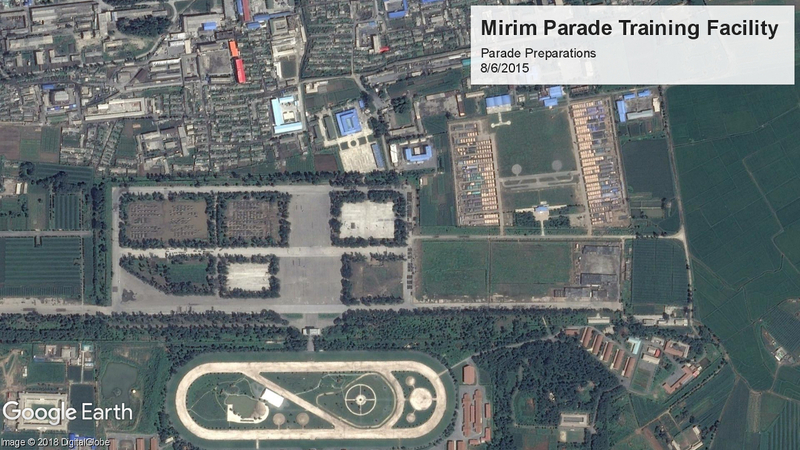 Satellite imagery supports previous reports of an upcoming military parade or event. 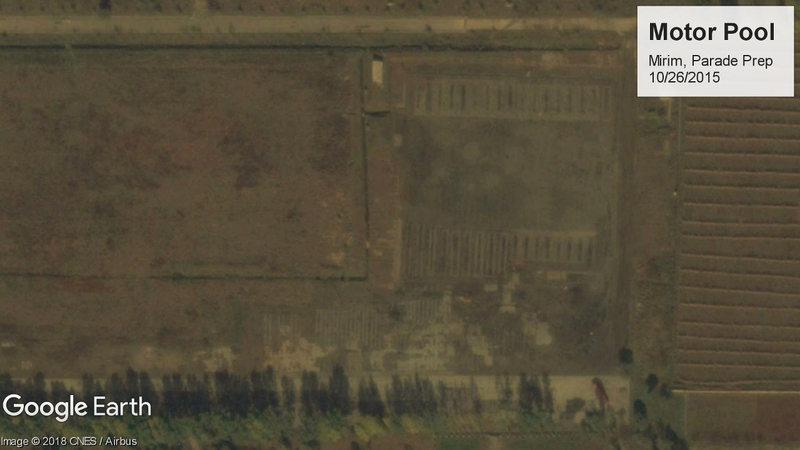 The event appears smaller than the large-scale event held on April 15, 2017, with only personnel and some vehicles being clearly visible at present. 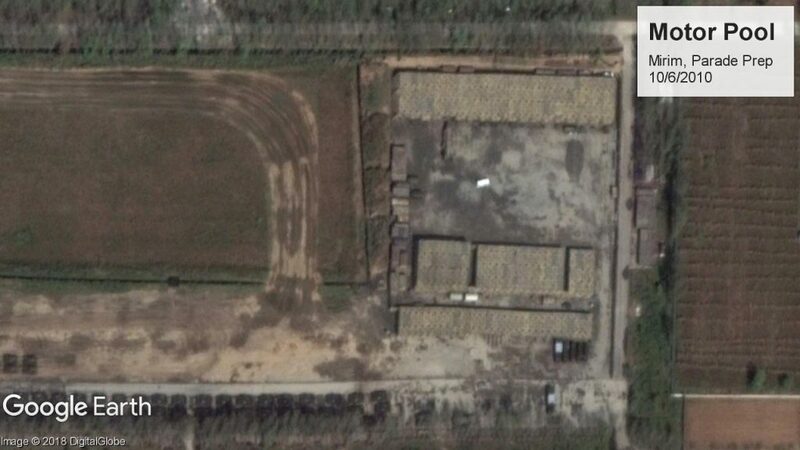 Current imagery does not indicate large amounts of hardware on-site at the training ground. 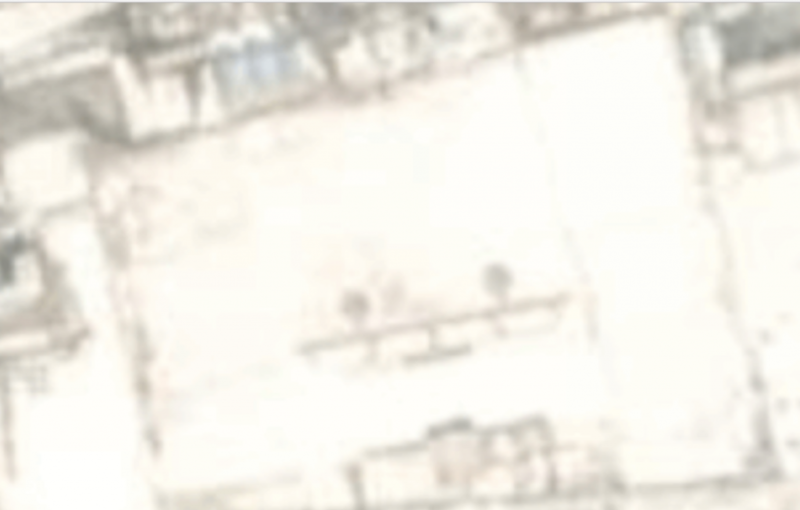 While between four and five groups of vehicles as possibly present in some imagery, more are possible. 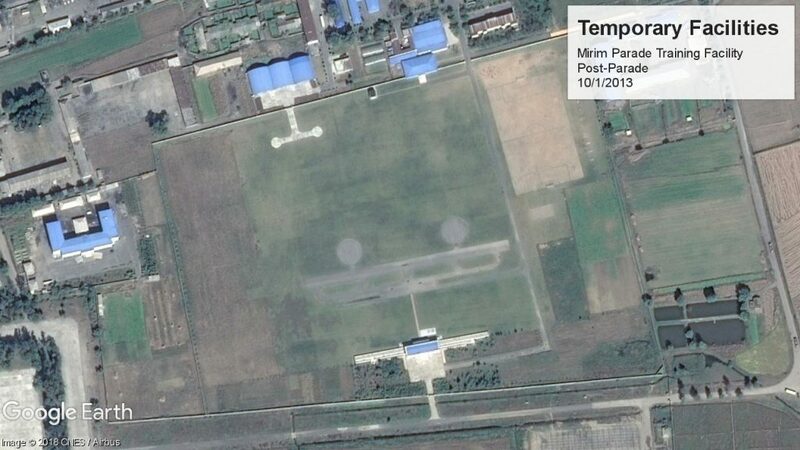 At present, 28 groups of infantry, between 4 and 5 groups of vehicles, and an unknown number of personnel appear to be drilling at Mirim.